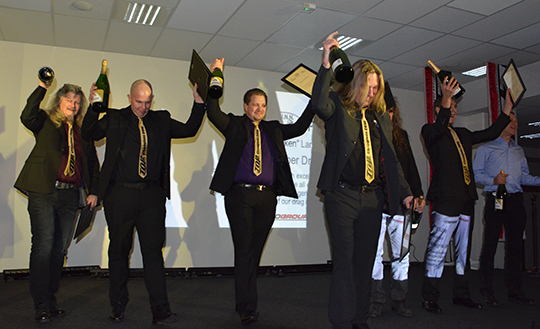 There was many prize-winners and we also had some Special Awards handed out. 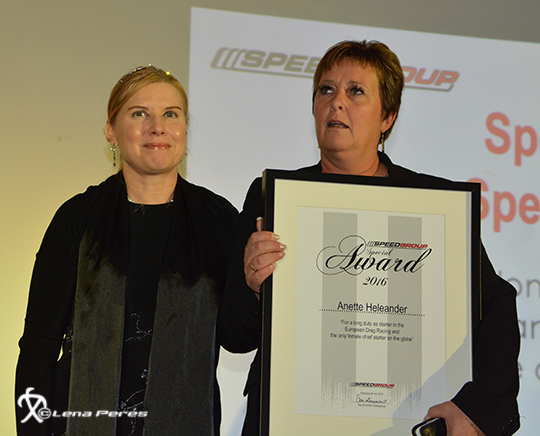 Nettan Heleander got the Speedgroup Special Award after many years on the start line. Pushing the button of the tree for all racers, checking them at the startline so nothing is missing of the equipment on the drivers and cars. She have also been the only female chief starter on the globe, so far. We also had a special award from the F.U.N.N. project runned by Yasmine Bengtsson. 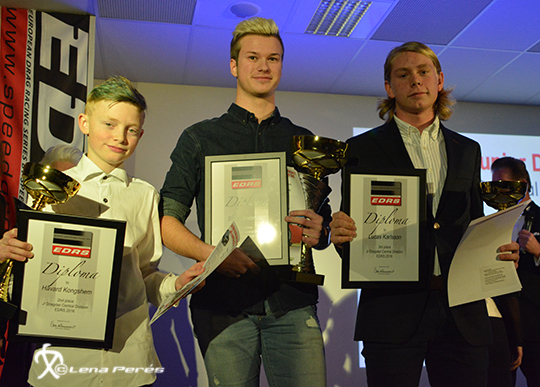 She handed over diplomas to the Top Doorslammers Team Bankrobber for taking very good care of the Jr Drivers at Tierp Arena. 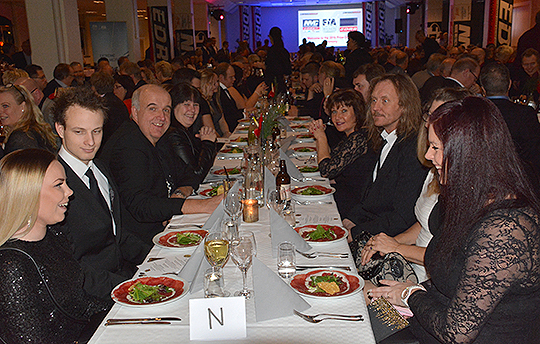 We also were honored to have all the top of the FIA Top Fuel drivers on site. 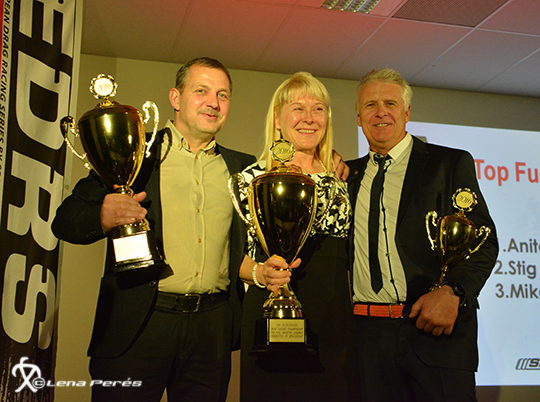 Michael Kågered, Stig Neergaard and Anita Mäkelä came to celebrate the win together with all of the EDRS and EDRS Pro winner. A huge thank you all who participated at this kick-off for the 2017 season. 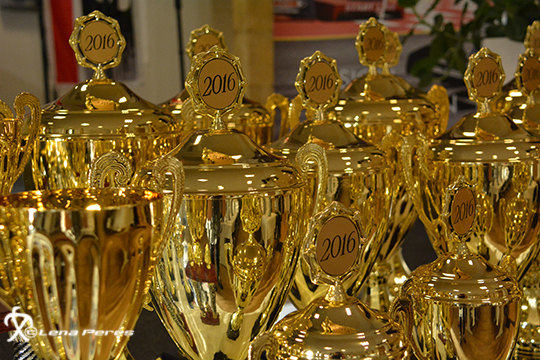 Now the work continues for Speedgroup staff, and for all racers of course. Down below you can have a look in the galley of what happen during the evening.